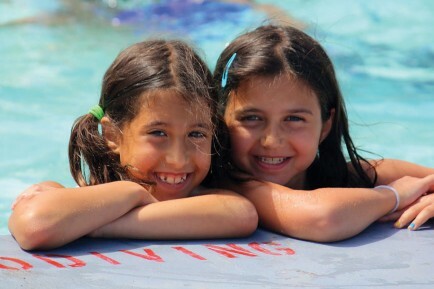 Iroquois Springs is the summer home to 225 boys and 225 girls, ranging from ages 7-16, and 250 staff members. Our camp family is at the heart of the Iroquois Springs experience, and the reason campers and staff return to their “summer home” year after year. Our traditional 3 and 6 week program is where lifelong friendships and cherished memories are made. Founded in 1931, Iroquois Springs is located in the Southern Catskill Mountains, less than 90 minutes from New York City. Our property of almost 200 acres has a private spring-fed lake and scenic wooded trails surrounding our beautifully maintained facilities. Our outstanding facilities have improved and changed through the years, but our commitment to providing our camp family with a safe, nurturing, supportive and incredibly fun camp experience has remained the same. Our program is designed to help campers build confidence, take on healthy challenges, learn new skills and develop lifelong friendships. We offer a structured and elective program, giving campers the best of both worlds. Campers have the opportunity to try everything camp offers, as they attend morning activities with their bunk, as well as the freedom to choose afternoon electives and clubs to focus on activities they truly enjoy, or to try new things. We know that camp is a place of discovery, fun, and friendship, and can make a difference in the lives of campers. Our staff of “Difference Makers” is dedicated to modeling behaviors of tolerance, cooperation, good sportsmanship, teamwork, and positive energy for camp life. 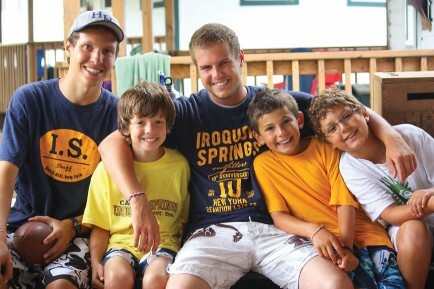 This positive energy is all over camp, and what makes Iroquois Springs such a special and wonderful place to call home.